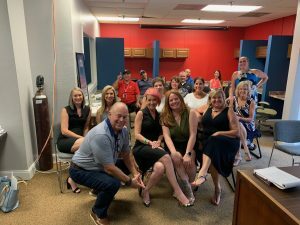 This Thursday, Oct 11th we welcomed RE/MAX Superstars Tabatha Whewell, Maria Skrip, and Sandra Massari into the RE/MAX Dream office to share some of their awesome success stories. It was a great time to exchange strategies in a fun environment. We were also lucky enough to have Glenda Weygant from Cardinal Financial to sponsor the class with a delicious bar-b-que lunch!